Growing up in the middle of Omaha and growing up with agriculture I got the unique opportunity to see first-hand the disconnect between consumers and producers. I grew up on my family’s 38-acre farm with sheep, goats, horses, and pigs. My farm life experience taught me more than just about what the world agriculture means. It taught me responsibility, respect, leadership, how to be caring, work ethic, and determination; Each day I am thankful for the way I was raised. With many Nebraskan’s removed from farms and ranches, a responsibility is given to us to share the story of agriculture. I have taken this responsibility personally. As an Agricultural and Environmental Science Communications major at the University of Nebraska-Lincoln I am learning and growing as a communicator. I have found new tools and perspectives to help me reach a variety of audiences and then help them realize how important agriculture’s story is to me and why it should be important to them. One of those tools is the Agriculture in the Classroom Program. 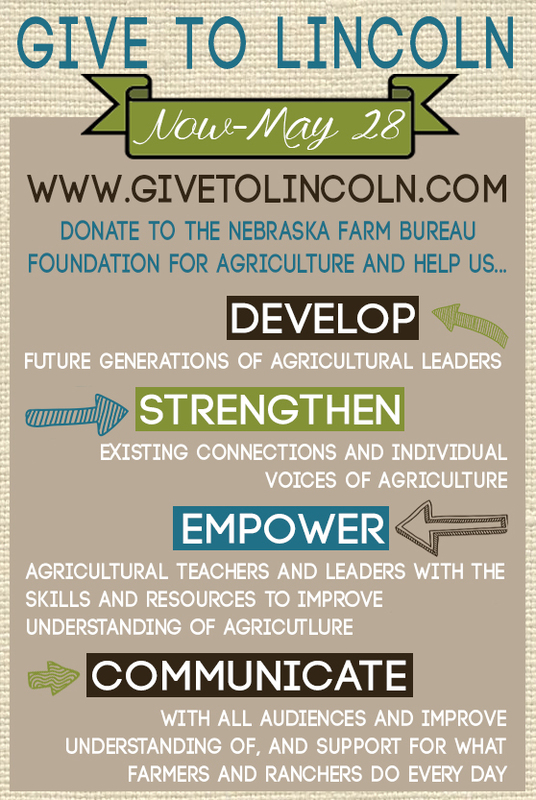 The Nebraska Farm Bureau Foundation’s signature program is Agriculture in the Classroom. 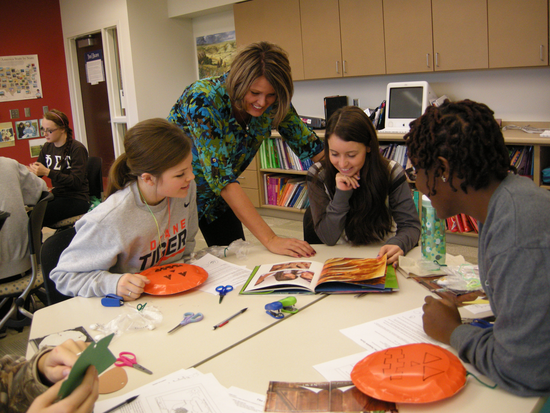 This program creates standard based materials for Nebraska Youth and Educators. Nebraska provides resources such as books, posters, activities and lesson plans about beef, pork, corn and soybeans. Each of these resources explains what happens from production to the everyday use of agricultural products of consumers. A part of Ag in the Classroom in Nebraska is the Ag Pen Pal program. This program helps urban classrooms in Nebraska relate with the agricultural community in Nebraska. The Nebraska Agriculture in the Classroom Program is a part of a larger program called National Agriculture in the Classroom (AITC). National AITC is supported by the United States Department of Agriculture and helps provide a network of opportunities. AITC is striving to help community members appreciate and understand the food and fiber system that supports us all. Their goal is to see agriculture is valued by all. National Agriculture in the Classroom is where I began my search for curriculum and resources that I use to teach urban youth in Omaha. Having teaching aids at your fingertips makes it impossible to say that you cannot share your agriculture experiences with whomever might have a question or misconception. If in any situation I need a resource to help communicate the ins and outs of agriculture production I can be sure to have unlimited help with the National and Nebraska Agriculture in the Classroom Programs at my side. With many Nebraskan’s removed from the farm, a responsibility we now have is to share the story of agriculture. It is so important to me to see our society becoming agriculturally literate because the agricultural community has made me who I am. I owe my work ethic, friends, family, and future career to the agriculture industry. I hope to someday have a career that allows me to help integrate agriculture into school curriculum, that reaches out in the marketplace to the general public about the real story of the products they are purchasing and that makes the importance of agriculture known on a local, state and national level.